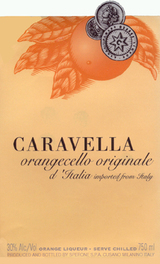 From the fragrant orange groves of Sicily in Southern Italy comes Caravella Orangecello. The Sperone family has been producing citrus liqueurs since 1898. This combination of orange juice, orange peels and the finest grain spirits is a favorite in Europe. Taste the flavour of Pisa, the excitement of Milan, the beauty of Portofina. Salut!